Randal was contacted through his new web design firm by Shands Healthcare in Gainsville, Florida. 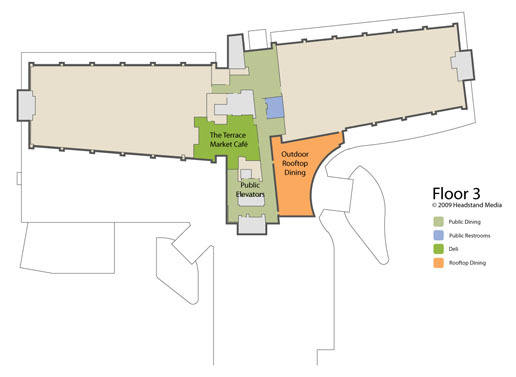 This organization is affiliated with the University of Florida, and located near its medical research facility. 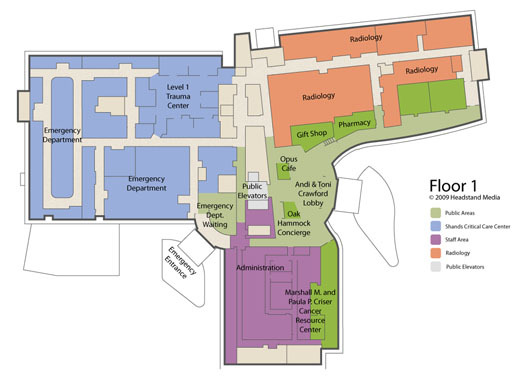 Shands has recently completed the construction of a new cancer hospital and needed to add some new floor plans and campus map illustrations to their existing website at www.shands.org. 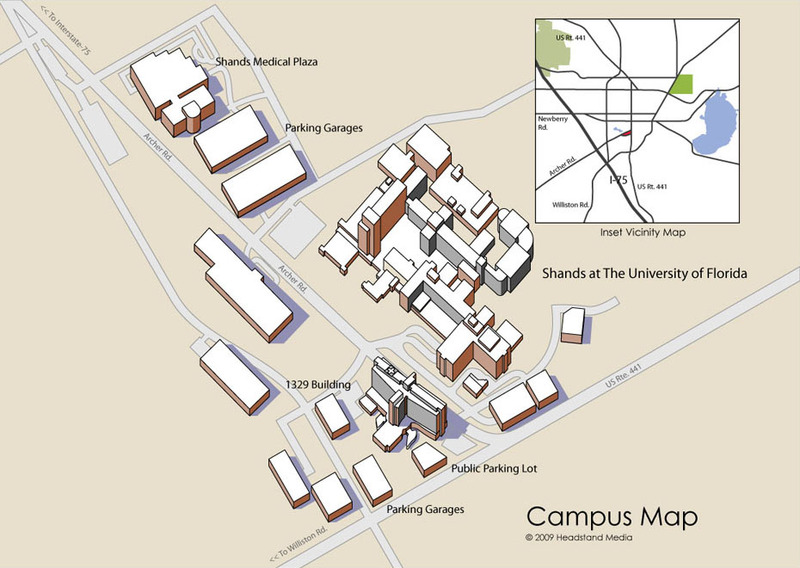 Randal worked from engineering drawings and references supplied by the hospital to create a series of floor plans and a campus map illustration using Adobe Illustrator software on Apple Macintosh computers. The illustrations will be used for both print and web applications.